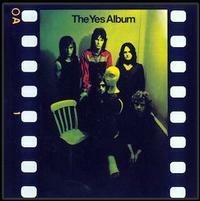 The Yes Album is the second in a series of remixed and expanded albums by Yes to be released via Panegyric. The DVD-A/CD edition is presented as a double digi-pack format in a slipcase with a booklet featuring new sleeve notes by Sid Smith, along with rare photos and archive material. The album has been mixed for 5.1 Surround Sound from the original studio masters by Steven Wilson and is fully approved by Yes. Also included is a new stereo mix, a flat transfer of the original mix, and other live / studio bonus material. The third album by Yes, originally released in 1971, was their first album with guitarist Steve Howe (replacing Peter Banks) and features the song "I've Seen All Good People." The album became a commercial and critical success and was the group's breakthrough album peaking at No. 4 in the U.K.and No. 40 in the U.S.
As I listen to this 5.1 Surround remix I cannot help thinking that if the technology existed at the time this album was made, this is the way it would have sounded in the first place.